Owner Daryl Jones is applying to the Alcohol License Review Committee to allow entertainment on weeknights. The new operator of Blair Street BBQ does amazing things with brisket, pulled pork and spicy sausage. 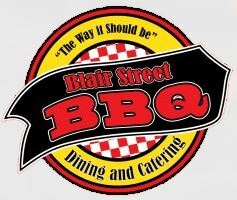 Daryl Jones, or "Chef DJ," took over Blair Street BBQ in December. His sweet and smoky Memphis ribs are the specialty of the house.